Georgia ChildCare Education Institute (CCEI) is a Georgia Bright from the Start (BFTS) Approved Entity. As such, most courses provided by CCEI are accepted by Georgia BFTS to meet annual, in-service training requirements. 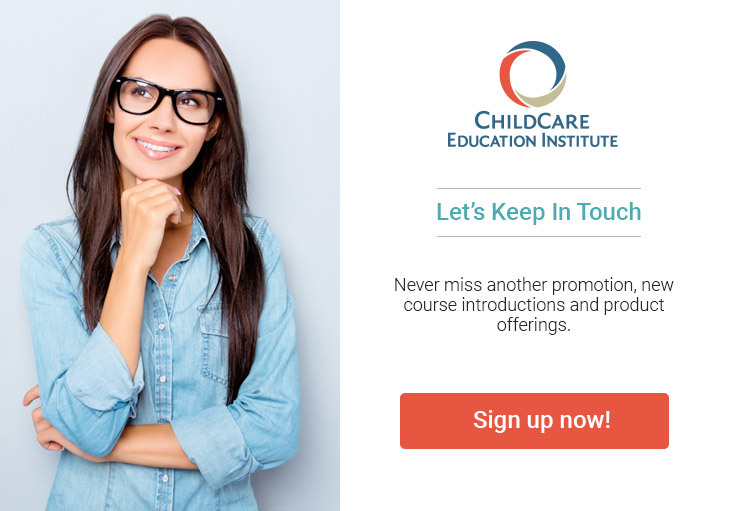 ChildCare Education Institute (CCEI) is a Georgia Bright from the Start (BFTS) Approved Entity. As such, most courses provided by CCEI are accepted by Georgia BFTS to meet annual, in-service training requirements. Please Note: The listing of Georgia BFTS Approved Courses, course levels and hours may be accessed by clicking the Georgia BFTS Approved Courses button below. For a complete overview of Georgia’s Training Approval process visit the Georgia Early Care and Education Professional Development System website for complete information on BFTS approved coursework including the BFTS accepted clock hour values. A list of CCEI courses that correlates to Georgia’s Workforce Knowledge Competencies (WKCs) can be found here. CCEI offers the Georgia Director’s Certificate program which meets the Georgia BFTS 40-hour director training requirement for child care learning center program directors.